How to do a simple Sage cleansing to Bless and Protect your home. Sage, along with sweetgrass, red cedar and tobacco, is one of the four plants considered sacred by First Nations and Métis Peoples. Sage is used broadly for many purposes by both First Nations and Native Americans – and is described here in only the most general of terms. Similar to sweetgrass, it isused in many geographical locations in North America, whereas red cedar is primarily used in ceremonies on the northwest coast. ity with which they are used. 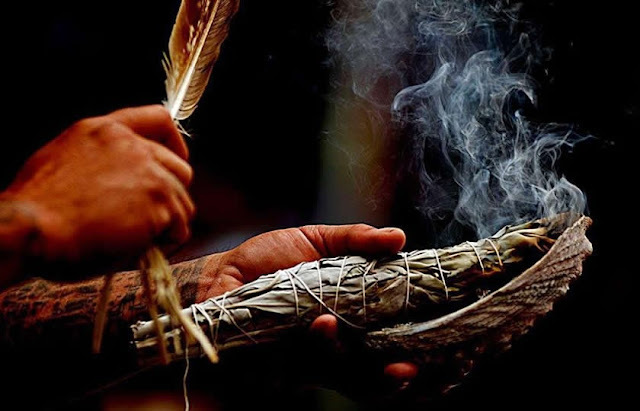 Sage, depending on the particular culture, can be used in medicine pouches, spread over the floor of a sweatlodge, wrapped around sacred implements, used for healing, used to make bad spirits sick, purify people and dwellings, healing and calming.